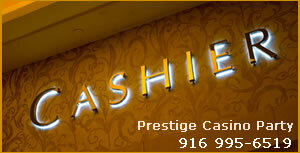 Prestige Casino Party of Sacramento provides interactive casino action to any occasion, including Private Parties, Corporate Events, Holiday Parties and more. Whether you’re renting a Hotel Convention Room, or making space in your living room, Our team will bring authentic Las Vegas Style Gaming Excitement to your event! 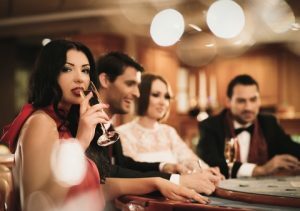 Our services include Complete Casino Themed Party Planning, Quality Equipment Rentals, Friendly, Professional Casino Dealers, Delivery, Setup and Breakdown, Party Location assistance and much more, all at some of the most competitive rates. Our Casino Parties and Events include Delivery (some distance restrictions may apply), Setup and Breakdown, Casino Grade Tables, Professional Dealers dressed in Black Tie, Funny Money, Raffle Tickets, Chips and all equipment required to play the games. Chairs and Stools are not typically provided, Please ask for clarification at the time of booking. We serve Sacramento and all the adjoining cities including Napa, Berkeley, and San Francisco! We will get back to you as quickly as possible, Most always within 24 hours!